Gary Inman is an internationally celebrated designer of fine homes, luxury hotels and resorts, furniture, and home fashions. His design métier has included handbags, women’s eveningwear, rugs, textiles, lighting, accessories and furniture. His collections have been shown at the International Furniture Market in High Point to critical acclaim. As a design historian, Gary has given more than a thousand lectures, and has moderated and sat on dozens of industry panels. He has contributed to several books, most recently writing the introduction for, Bespoke: Furniture from 101 International Artists, which included three of his own designs. His television credits include A&E’s America’s Castles, the PBS series Monuments and Mansions, The Editor At Large, Design Tourist, The Design Network and various television news interviews. Gary’s design work has won eighteen ASID-IIDA design awards and the prestigious Elevate Award as America’s Top Luxury Boutique Hotel Designer. His home designs have been published in Veranda, House Beautiful, Traditional Home, Southern Accents, Elle Décor, The Washington Post, and many others. He is Vice President of Hospitality with Baskervill, America’s seventh most enduring firm with 120 years of continuous practice, and one of the top “20 International Giants of Hospitality.” The firm is presently working on projects in 5 countries and 44 states. Gary is the creator and editor of the popular, The Art of Fine Living, an online lifestyle journal that explores travel, design, art, fashion, and the culinary arts. Phara Queen was chosen as one of the Designers in Traditional Home Magazine's first show house in Dallas, TX. She was a finalist in HGTV's 2016 Faces of Design in the Posh Public Spaces category Recently she was named one of the top 15 Interior Designers in Oklahoma City. Queen's work has attracted a variety of celebrities and musicians from across the country, including Miranda Lambert, Blake Shelton, and Gwen Stefani. Recently she was featured in Traditional Home Magazine's May/June 2018 issue as a Mover and Maker in a one-page feature article. She has also been published in other high-end publications including Southern Living, Travel and Leisure, People, Country Living, Huffington Post, and Oklahoma Magazine. Donna Moss, the "Queen of Bling"
Donna Moss, known as the “Queen of Bling,” brings her glamorous and lush style into every space she decorates. A former finalist on HGTV’s Design Star, she hosts the HGTV series Donna Decorates Dallas, where she shows the big (and small) details that make up a fabulous Texas home. In August 2014, she opened a new store with her daughter Tiffany, That’s Haute Kids, a children’s fashion and design boutique. Donna hosts and sponsors a number of local and national charity events including A Wish With Wings and serves on the board of The Arts Council. With numerous awards to her credit and her work featured in People Magazine and Instyle Magazines, Donna Moss proves that you can “bling it all” — making decor bold, gold and glam! Garrison Hullinger is an interior designer with a passion for creating environments that are as warm and beautiful as they are comfortable and functional. He believes in maximizing every space using colors and textures, preferring palettes inspired by the “amber waves of grain” landscapes of his Midwest childhood. Those early years of living far from traffic lights and skyscrapers also shaped his fascination with cities. These days Garrison incorporates urban textures - from masonry and stained glass to gates and grates - through fabrics, lighting, wall coverings and art. In every design project, Garrison works to achieve the ultimate vision by following through and personally ensures each element is executed as planned to create a beautiful, fresh experience. Lindsay is a University of Delaware graduate (go Blue Hens!) and joined the Design Manager team after spending a few years working as a meeting planner and marketing coordinator. Her dad was a builder and her mom was an interior designer, so pair that background with her outgoing personality and she fits right in to the face-paced tech environment at Design Manager. She started in Sales, but quickly moved into Marketing and then Management, and more recently into the Executive Team. She has enjoyed spending late nights helping designers grow their businesses by listening to their pain points and developing technology to address them. While helping interior designers run successful businesses is her first love, her second love is cultivating the brand and culture at Design Manager. In her spare time though, you can find her going on adventures with her husband and two adorably demanding toddlers, enjoying new restaurants or cheering on her beloved Philadelphia sports teams with her friends and family. This week on the podcast we have Michelle Wintersteen. Michelle was the brand designer and creative director behind MKW Graphics, a freelance design agency that specializes in helping small businesses turn their brand visions into beautifully functional visuals. Join us as we find out how she combines being a digital nomad with visibility for her own business and how you can produce less content and get more impact by being authentic and having a specific brand strategy. This week on the podcast we have Darla Powell. Darla brings a fun, genuine down-to-earth approach to designing beautiful spaces--serious emphasis on the fun! Since she launched her career in 2016, clients have fallen in love with her work, growing her business almost exclusively by word of mouth. But don't let that fool you, Darla also has an amazing Instagram game and her blog is top notch. Join us as she tells us how she grew her Instagram, why she changed her Instagram strategy, and what she has coming up next. This week on the podcast we have Carla Aston. Carla is a Texas-based interior designer whose boutique design firm focuses primarily on remodel design. Twice weekly in her design blog, Designed with Carla Aston, Carla shares tips, advice, projects and all kinds of design goodness with her readers. This week we'll be talking to her about how she uses her blog as an additional income stream, how having comments turned on in your blog can help boost your SEO, and using Pinterest to drive traffic to your blog. This week on the podcast we have Sarah Wilson. Sarah is an interior designer located in the DC, Maryland, Virginia area and recently took part in the one room challenge. Join us as we chat with Sarah about how she got brands and vendors to sponsor her room. 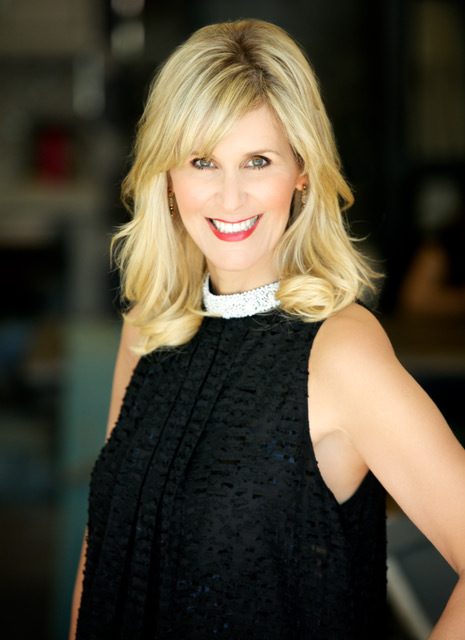 Bobbie McGrath talks with us about being honest with yourself when it comes to your wants and needs so you can narrow your focus and get the business of your dreams. Today we got to speak with Daniel Whicker, the director of the Contract Division at Furnitureland South. We discussed the importance of visibility in your work, as well as the influence a work space can have on yourself, and others around you. Today we're talking to Sam and Dave Cohen of Elegant Mosaics about how they tie their personal journey into their visibility. One of the best things about the Design+Style Club is getting to hear about our members' visibility journeys. Today, we're talking to Jessica Duce of JDuce Design! Susan is an Interior Designer and General Contractor and mom of 5 daughters. She founded Savvy Giving by Design in 2014. After offering to make over a local teens room who had been diagnosed with cancer, Susan looked to her team to create a space that would provide her with the healing needed to help her fight through treatment. Today, Susan does a new room about every 6 weeks and is working on expanding Savvy Giving by Design nationwide. Susan resides in the North County of San Diego and runs a full time interior design and remodeling team, Savvy Interiors. One of the best things about the Design+Style Club is getting to hear about our members' visibility journeys. Today, we're talking to Alberthe “Albie” Buabeng of Albie Knows! Dayna De Hoyos has been in the world of art since the age of 18 when she began her formal training in fine art at San Antonio College, and the University of Texas. She studied painting, drawing, theatre, radio, television, and film. After college she pursued her passion and opened an artist run space at the Blue Star Arts Complex in San Antonio, Texas. Stella Haus Art Space showcased new and established talent for a decade and contributed to the success of the art community through membership on the Blue Star Museum Board of Directors, as well as curating shows monthly. She pursued her passion for painting, photography, and film in her art making as well as promoted others. She exhibited her own work in museums across the country and in in the collections of Barry Manalow, Estee Lauder, and Dave Matthews to name a few. In 2012 Dayna closed Stella Haus Art Space and moved from San Antonio to the area of Fredericksburg, Texas. She married her college sweetheart Sky Patterson, and started Stella Haus Films to continue to pursue her artistic abilities by making films and photography commercially. Dayna currently lives and works on Stieler Ranch, her husbands historic ranch where she makes social media video, branding films, commercials, and art films for her clients. She also creates photography including headshots, branding imagery, food photography, and social media photo content. The other side of Stella Haus Films is Wedding Films which unlike most wedding video has a more cinematic and artistic bent. In her spare time she raises horses, chickens, and is a dog mama to a border collie named Ruby and a slew of rescue kitties. She also enjoys running, cooking, and gardening. One of the best things about the Design+Style Club is getting to hear about our members' visibility journeys. Today, we're talking to Staci Nugent of Staci Nugent Design! Here at Design+Style, we're big fans of collaboration and one of our favorite dynamic duos is Ms Paper Moon, Stephanie Owens and Ms Glamour Nest, Jessica McClendon! Together, they are the Decorettes, sharing their bewitching branding and swanky systems with creative entrepreneurs everywhere and chatting about the ups and downs of being business owners.